Brian McCarthy (b.1960) is an Irish artist based in Dublin. 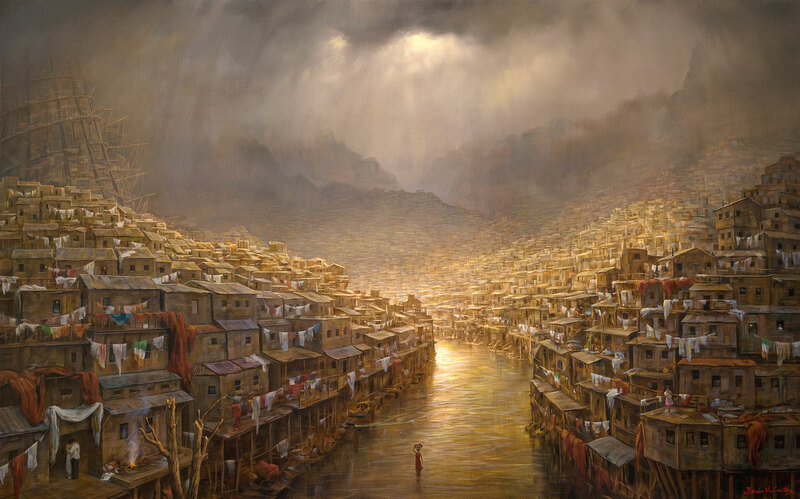 Working exclusively in oils, magical realism fused with political satire, is a central theme of his work. Fine art auctioneers, such as Christie's in London and Adam’s and Whyte's in Dublin, regularly feature Brian's work and his paintings can be found in numerous Irish and international private and corporate collections. Elsewhere, paintings have been included in many group shows at commercial galleries in Ireland and the UK, as well as being exhibited in Dublin’s Douglas Hyde Gallery and Royal Hibernian Academy. In 2016, Ghosts of Palmyra was accepted for inclusion in the Royal Hibernian Academy's Annual Exhibition and paintings from Brian's 1916 Commemoration series were on view at The Trinity Gallery, Dublin 2. • Irish Independent: Desmond snaps up a dark portrait of troubled nation. • A Country Call WAWWA: ‘Boomtown’ captures the mood of a broken society. • Agenzia Nazionale Stampa Associata (ANSA): Photostory of Ireland’s Boom. • Ireland in the world order: A history of uneven development. • Spacing Ireland: Place, society and culture in a post-boom era. • Radio interview with Ray Burke on Dublin City FM's Artist's Space. Venetian carnival masks were the focus of Brian’s equally successful Masquerade exhibition launched by Ireland’s former Taoiseach, the late Charles J. Haughey. 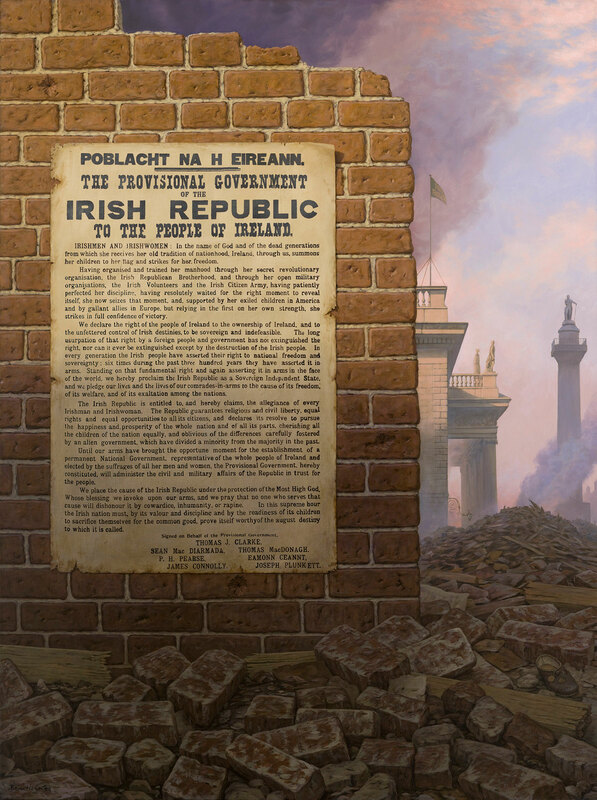 Acclaimed by critics and collectors alike, it was described by writer Michael O’Sullivan as a “profound expression of painterly accomplishment and excellence”.